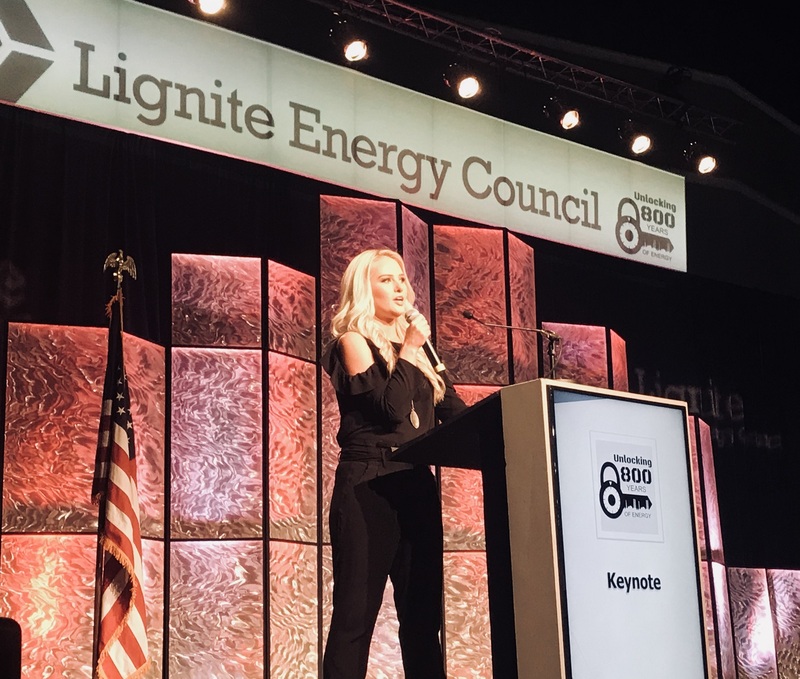 In a decidedly partisan message, conservative political commentator Tomi Lahren told attendees at this week’s Lignite Energy Council annual meeting they need to get vocal in defense of their industry. She also touted plans by Fox News to visit North Dakota to tell lignite's story to America. 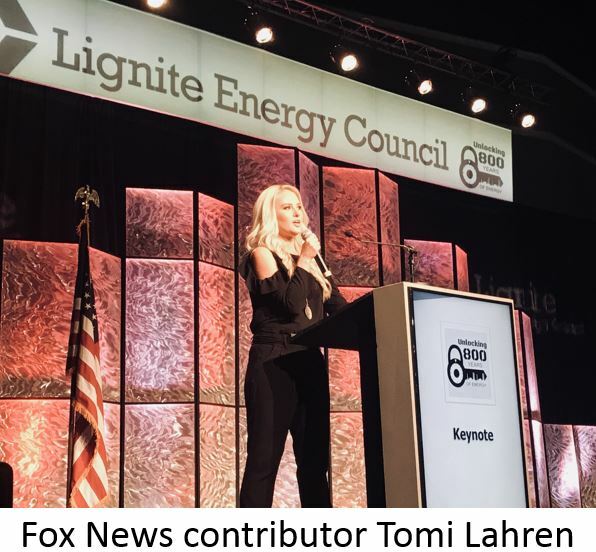 Lahren, a Fox News commentator who grew up in South Dakota, said people who work in North Dakota’s lignite mines and power plants should be proud of the industry’s $3.4 billion impact in the state, and the more than $2 billion invested to protect the environment. Click here to listen to Lahren’s comments. Lahren at age 25 is the youngest talk show host in television history. In her commentary, she has been a strong advocate for the fossil fuel industry. Lahren told the audience they should not be shy about promoting the economic importance of coal, and should vote to elect candidates who will defend it. In a panel discussion that followed her speech, Lahren promised the crowd she and Fox News would return to the state to tell coal’s story because America is not getting it from the mainstream media. Click here to see a video of the panel discussion, which was moderated by WDEA Executive Director Geoff Simon. Click here for KX News reporter Malique Rankin’s coverage of Lahren’s speech. Lahren was also a strong advocate for the Dakota Access Pipeline. Click here to see her commentary. 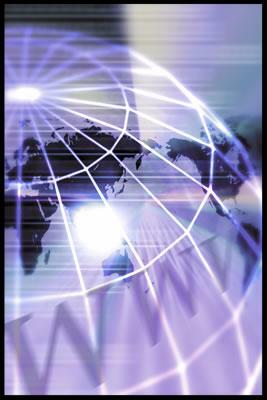 The price to register to attend the Williston Basin Petroleum Conference is about to go up. The registration rate is just $400 through April 12. After that date, registration goes up to $500. 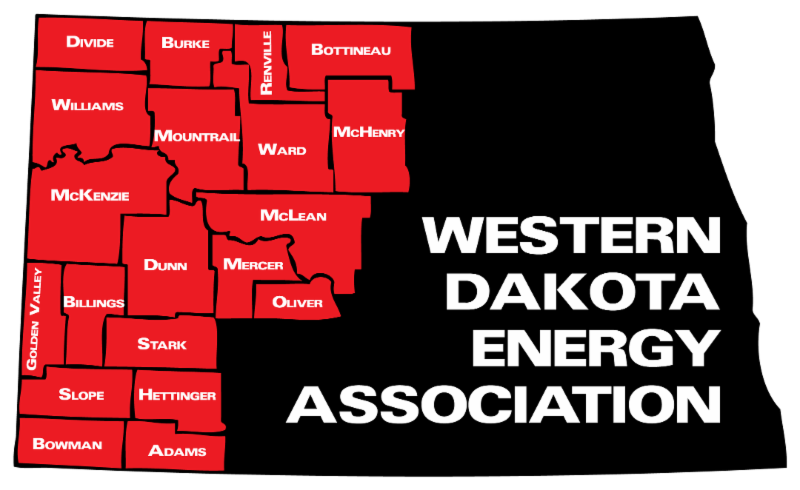 The conference is the largest and most well-attended event focusing on the Williston Basin and the Bakken. Industry experts and key decision makers will present on the latest regulatory developments, Williston Basin breakthrough technologies, energy markets and more. The keynote speaker is U.S. Interior Secrety Ryan Zinke. Other presenters include former Congressman J.C. Watts and Continental Resources CEO Harold Hamm. Click here to see the list of presenters. Click here to go to the registration page. Click here for the agenda. Despite a court order blocking implementation of the Obama EPA’s “Clean Power Plan” to regulate greenhouse gas emissions, North Dakota’s top environmental regulator says the state must continue to plan for a carbon-constrained future. Dave Glatt, chief of the Health Department’s Environmental Health Section addressed attendees at this week’s annual meeting of the Lignite Energy Council. Glatt said the state believed the Obama plan exceeded the EPA’s authority and took away state’s rights, so North Dakota went to court to challenge it. Click here to listen to Glatt’s comments. Glatt said he was criticized by environmental advocates for pointing out the economic consequences of the regulations, but he says high energy prices are harmful. Glatt said the Trump Administration has proposed a repeal of the Clean Power Plan, and is currently taking public comment on a regulation that would replace it. Glatt said the state questions whether CO2 regulations are really necessary, but generally agrees it’s important to fill the void with a more reasonable regulation. 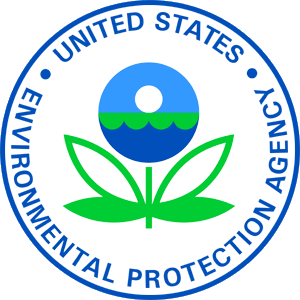 Glatt said the EPA rule should recognize the principle of cooperative federalism, with the state and federal government working together to resolve issues. He said it’s important that any rule establishes achievable targets and recognizes the importance of maintaining grid reliability. Great River Energy is looking into the possibility of partnering with a Utah company to develop a large commercial greenhouse adjacent to the company’s Coal Creek power plant near Washburn. Rich Garman, business development manager for GRE, told the crowd at this week’s Lignite Energy Council annual meeting that the company is working with California-based Houweling's Group to design a greenhouse similar to one the company owns in Mona, Utah. 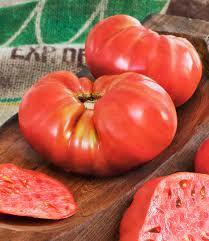 Garman said the Utah greenhouse, which produces 457,000 bushels of tomatoes per year, is adjacent to a coal plant owned by Rocky Mountain Power Company. Garman said if GRE proceeds, it would be modeled after the Utah facility and would use waste heat and flue gas from Coal Creek Station to support the greenhouse. Click here to listen to Garman’s comments. Garman said the study is supported in part by a grant from the Lignite Research Council. He said a decision on the project is likely to be made this summer, but construction would still be about two years away. The LoadPass Advisory Committee will hold its spring meeting April 16 in Killdeer. The agenda includes include the first election of officers under the newly-enacted LoadPass bylaws that govern operation of the truck permit system. The agenda also includes a discussion of frost law permits. Permit System Operator Janet Sanford said it's an opportunity to see how the system is working for everyone, and what needs to be tweaked. "We're always looking for ways to make it better," she said. Attendees will also hear an update on plans for a new routable map for the truck permit system.The possibility of new permits will also be discussed, including ag and winter haul permits. Because the meeting begins in the morning and is expected to run through mid-afternoon, lunch will be served. 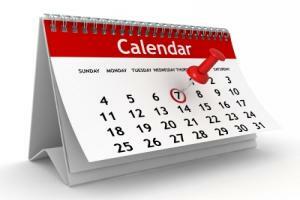 WDEA members and industry operators who plan to attend are asked to RSVP to get a lunch count. 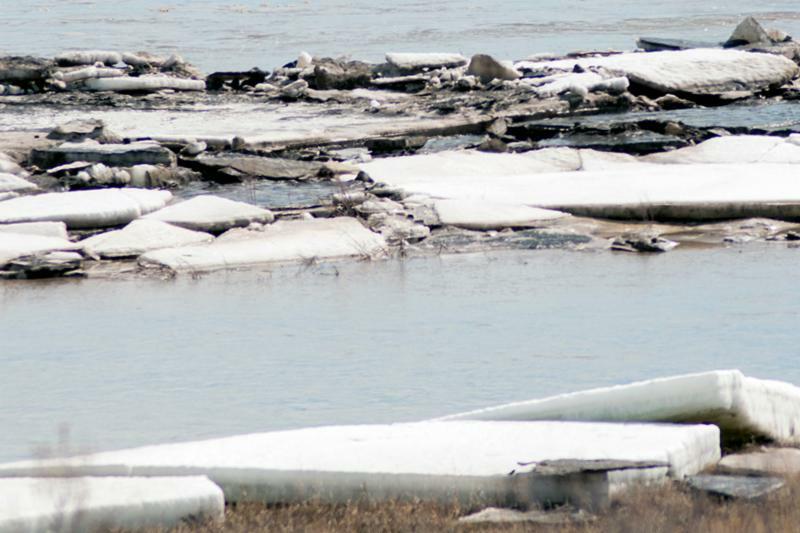 If you want to know what the weather has been like in Montana, just check the level of the Missouri River around Williston, according to Williams County Commissioner Wayne Aberle. "When Montana gets warm, the river here goes up," Aberle said. "But right now, the river is going down. It's down about three feet, and the ice is out on either side of the Highway 85 bridge." County officials are closely monitoring the flood potential. "We're keeping a watchful eye on it," said Williams County Communications Director Melody Mileur. There were some concerns about township roads in the Trenton area, but for now, conditions have improved. That's good news for oil well sites and the trucks that service sites in the floodplain. Aberle said oil activity is picking up and so is truck traffic. "The County Weight Enforcement Division was busy before the weight restrictions went into effect this week," Aberle said. "Now, they're even busier with overweight trucks." Click here to see the Williams County Highway Department's frost law page.